Special offers change periodically and are not guaranteed past any dates/times listed below. Many thanks to our partners for making some of these program available to Louisville Zoo members. Buy any NEW membership now through May 31, 2019 and save $5. If you join online by April 30, 2019, you also get one additional month FREE! Click here for details, restrictions and instructions, and to join now! Fun Foto!+ exclusively grants Club members access to their own unique website for the 2017 season, from which they can view, email, download or post their photos directly to Facebook. A Fun Foto! Day Pass Program is also available. Learn more. Members get a discount on the super fun Ropes courses presented by Great Clips. For more information, click here. Current Louisville Zoo Members can receive $3.00 off full price adult or child admission to the Newport Aquarium when you present your valid Louisville Zoo membership at the Newport Aquarium ticket window. This offer cannot be combined with any other coupons or discounts, is not valid for online ticket purchases and is not redeemable for cash. You’ll be amazed at all there is to see and do at the Newport Aquarium. You’ll experience the most amazing collection of aquatic creatures around including our extremely rare Shark Rays Sweet Pea and Scooter — stars of the first Shark Ray Breeding Program in the world. You can go behind the scenes for a Penguin Encounter where you can touch our playful African penguins. You can even pet sharks. Visit newportaquarium.com for more info. The MEGA Cavern is owned and operated by Louisville Underground, a separate for-profit organization. The entrance is located near the Zoo and K-Mart off Taylor Ave.
$10 off Mega Zips Monday – Thursday. Not valid with other discounts, special offers or Early Bird Specials. Ask for promo code ZOOMEMBER – valid online and with phone reservations. One discount is offered for each person covered on your membership. Just present your card at the MEGA Cavern ticket office at 1841 Taylor Avenue to receive your discount. Not valid with other promotions or discounts. Phone 502-855-6342 for details. Visit the website. For more information and restrictions about the program, click here. Walk your way to better health! Thanks to the generosity of Norton Healthcare, this wonderful program is free and benefits include the Best Foot Forward Kit, route and distance information for the Zoo and other sites, and quarterly issues of Get Healthy magazine. Click here to register or for information on other Norton Healthcare Get Healthy Walking Club activities throughout the year. The Louisville Zoo is pleased to offer a $5.00 discount to all Active & Retired Military, Police, Fire and EMS personnel. Louisville Metro first responders receive the standard 10% employee discount. See employees discount information below. This offer applies to the current cost of any full price Standard Level Membership. 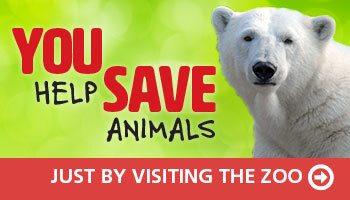 To receive this discount, applicants must present a valid ID, in person at the Louisville Zoo. This offer cannot be combined with any other offer or promotion and cannot be applied retroactively. Thank you for your service! Metro Employees receive a 10% discount with a valid metro ID in person or through the discounts link found on the MyMetro discounts page. This offer applies to the current cost of any full price Standard Level Membership. This offer cannot be combined with any other offer or promotion and cannot be applied retroactively. Thank you for your service!